Slice onion very thin. Place in a baking dish and cover with buttermilk for at least one hour. Combine dry ingredients and set aside.Heat oil to 375 degrees. 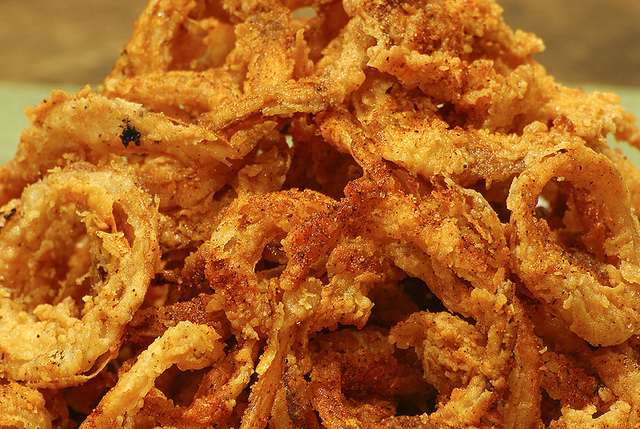 Grab a handful of onions, throw into the flour mixture, tab to shake off excess, and PLUNGE into hot oil. Fry for a few minutes and remove as soon as golden brown.